Fast Track To Fat Loss Review | Buy or a Scam? First published Sep 4, 2018. The central puzzle of diet programs across the world is how to best target the burning of those stubborn fat deposits on our bellies, bums, legs, and elsewhere. The weight loss industry is now saturated with thousands of pills, creams, juice detoxes, and many more. However, readers should always remember that the most well-advertised and eye-catching solutions are often the most ineffective; we can’t avoid the fact that the best cure for obesity is the tough old world of restricted calorie intake and exercise. 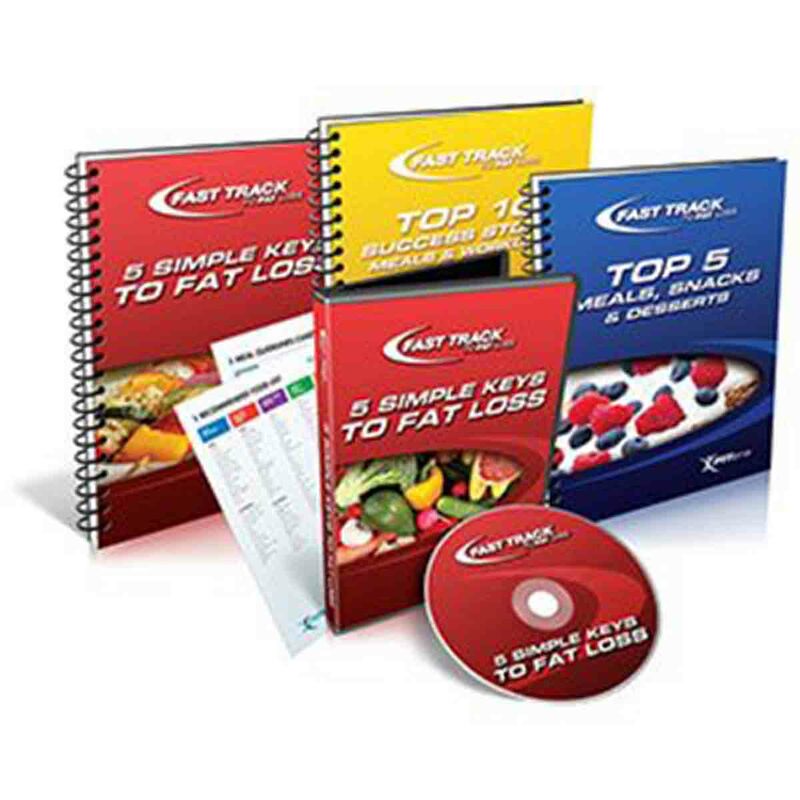 Fast Track to Fat Loss is a diet and exercise program that is available to view as a digital download or as a physical copy that can be mailed to your door. It claims to provide a full guide to weight loss, packed with recipe ideas, workout videos, personalised advice, and the support of an active dieting community on the Fast Track to Fat Loss website. The program currently claims to be free, although users have to pay a supposedly unrelated fee of $6.95 to access the content (more on this odd little arrangement later). What Does Fast Track To Fat Loss Claim To Do? Fast Track to Fat Loss is primarily advertised by one of the Internet’s most confusing and irritating ways of conveying information – the seemingly-endless “infomercial-style” page. Because of this, finding out what the program is actually supposed to do takes a good few hours of patience and a great deal of scrolling! So far, so standard. The real selling point of Fast Track to Fat Loss is the online community you get access to. The diet’s designers make much of this, claiming that dieters can seek support from one another, trade recipe ideas, share interesting articles, and receive personalised support from online counsellors. The “hub” feel of the website itself could also be helpful, as dieters have comprehensive access to workout idea, recipes, and the forums all within the same website. As you might expect, the makers of Fast Track to Fat Loss promise dramatic weight loss as a result of participating in the program. On the “infomercial-style” page that advertises the program, the makers claim that users can expect to lose 10lbs in their first week. They also claim that their methods are so robust that they have a 100% success rate, and that customers absolutely cannot fail to lose weight. They also make some frankly bizarre claims. The company behind Fast Track to Fat Loss claim that their program is so successful because they are uniquely able to activate the “fat-burning gene” by encouraging dieters to eat the “right” foods. When this gene is activated, dieters can supposedly eat pizzas, burgers, ice cream, cake, cookies, and margaritas guilt-free. Who Created Fast Track To Fat Loss? Fast Track to Fat Loss is the flagship product of FITera, a diet and exercise company based in the USA. We’ve come across FITera before, and they, unfortunately, appear to have something of a reputation for style over substance, creating endlessly-long waffling advertising pages selling substandard products. We reviewed one of their other products in the past, a freezable protein powder called FitFreeze. Designed to mimic ice cream, this protein powder ended up ranking as one of the lowest-quality and overpriced protein powders we’ve ever seen. Not a good start then. The company is headed by an enthusiastic and charismatic figure called Chad Tackett, who claims to have operated the Internet’s very first diet and fitness program all the way back in 1996 (called Global Health and Fitness). The company can be contacted by email at [email protected] or by phone at 1-866-796-7204. Does The Advice In Fast Track To Fat Loss Work? Despite the advertising copy confusingly trumpeting all sorts of rubbish about a fat-burning gene that allows you to eat copious amounts of pizza without weight gain, the actual substance of the Fast Track to Fat Loss weight loss plan seems to be fairly common-sense. According to the reviews we’ve seen, the plan provided simply advises customers on how to calorie-count and how to maintain an eating plan that involves consuming fewer calories than are used as energy. This is pretty much weight loss 101, and it’s sure to work if followed correctly. However, programs like these still require dieters to count the calories of their food and regularly whip out a calculator in order to ensure that they are below their target line. Some find this to be a difficult way to lose weight, and others find it to be robust and easy. On the exercise side of things, the program provides DVDs or online videos full of recommended exercises, most of which seem to be specially designed to target “fat zones” on the body. Along with the online food planner, customers are given access to a workout planner that allows customers to customise workouts according to their personal fitness and the equipment they have available. Although it’s hard to say whether these exercises are any better or worse than the thousands of other exercise programs out there, the basic diet and exercise structure provided by Fast Track to Fat Loss is likely to effectively lead to weight loss if followed correctly. What Are The Drawbacks Of Fast Track To Fat Loss? Although there are very few customer comments available online, what we have found so far is not necessarily encouraging. More than a few customers have complained about having had extra money debited from their accounts without their knowledge or consent, and some other customers have complained that the “community support” aspect of the program is false advertising. I’m not sure what’s going on – if perhaps this website at one time offered more support but not now? Currently, the Fast Track to Fat Loss website doesn’t provide all that it claimed it would when I purchased. Their meal planner feature is not up and running… The “community” seems relatively inactive and posted complaints have no response. I have not been able to reach the company by phone. I’ve had to really dig online but I’ve discovered other posts warning people that they could not cancel their membership and continued to be billed. I responded to one offer, got charged for three. Didn’t open the package I received until recently as my mother was on hospice and I was out of town. Since I was ten days past their deadline to cancel what I didn’t know I had ordered, they refused to accept the materials back. They did agree to cancel the monthly ongoing charges that I had never signed up for in the first place. No integrity. Never used their service, never signed in, never participated. We’d like to know more about what people really think of the program, so please let us know what you thought about Fast Track to Fat Loss in the comments below! How Much Does Fast Track To Fat Loss Cost? Here’s where this gets a bit strange, to be honest. On their promotional page, FITera claims that Fast Track to Fat Loss is completely free. However, they claim to be running a university study to prove that the program really works. They want participants and request that those signing up to the Fast Track to Fat Loss program pay a $6.95 fee. This fee is not apparently for FITera, but instead to pay the administrative fees charged by the Institutional Review Board for “a major university”. If this seems strange to you, you’re not alone. The university leading the supposed study is never mentioned, and we’ve already noticed that the deadline for when the study is supposed to have commenced changes depending on when you visit the site (they always claim that it’s exactly one week after the time you look at the website). It should be obvious to anyone that no university can conduct a study on weight loss without having participants physically present to weigh and measure before/after the Fast Track to Fat Loss program. We’ve also seen evidence on other websites that the $6.95 fee has always been present, although the university study story is apparently new. So what to make of this? This story may simply be a bizarre ploy to convince customers that they have access to a “free” program and can participate in an exciting university study, when of course neither of these assumptions are true. However, we remain concerned that this odd arrangement has more shady intentions, especially when considering the various accusations that FITera debit customer accounts without knowledge or permission. We recommend carefully reading through the company’s terms and conditions before signing up for anything. In principle, there’s nothing seemingly wrong with the diet and exercise materials provided by the makers of Fast Track to Fat Loss, and the notion of having a website-based “hub” full of recipes, workout ideas, and community support seems great. However, the company behind the program already has a reputation for substandard products, and there are dark whispers on the Internet that they have fraudulently taken money in the past. To add to the concerns, the website advertising the program makes many laughably untrue claims, from talking at length about an undefined “fat-burning gene”, to suggesting that their diet plan allows customers to eat unlimited amounts of pizzas, burgers, and ice cream. Customers can only sign up to the plan by paying a small fee for what seems like a non-existent university study, a strange arrangement which raises serious questions about the company’s intentions and the legitimacy of their program. Overall, we like the idea in principle, but we don’t really trust the guys behind it. We recommend sticking with more well-known diet and exercise programs with a stronger reputation for quality. So you never, ever pay anymore than the $6.95? Then why does a lady in video say if your not satisfied in 60 or 90 days you get half your money back? Snopes also has a review of this program and its founder’s marketing tactics are pretty shady too!